Unify the Struggles Against Reforms ! Out with Temer and All the Corrupt Congress ! On September 29 a large unified plenary took place in São Paulo, organized by unions of the “Movimento Brasil Metalúrgico”, which brought together more than 1500 workers from all over the country, industry and other sectors as public employees, and defined a new day of action in defense of labor rights for November 10. This date is on the eve of Labor Reform turn into effect. The day of action is meant to stop this reform as well as the Social Security Reform and other attacks that Temer administration and Parliament intend to carry out. This day of action was endorsed by Labor Federations. 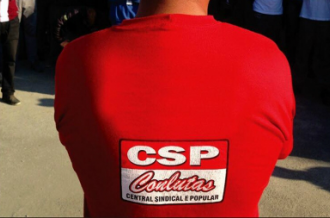 CSP-Conlutas reinforces the need to move forward and build a new General Strike to overthrow Temer, his reforms and all the corrupt Congress.